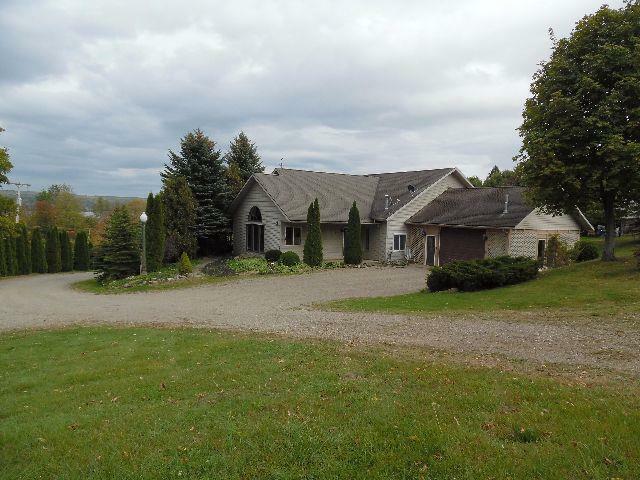 3211 Route 394, Ashville, NY.| MLS# 1044028 | Chautauqua Lake Real Estate Services. Informed, Professional Real Estate Information Serving Buyers and Sellers Interested in Lake Chautauqua Real Estate and Chautauqua County NY Real Estate. Rick and Julia McMahon Real Estate Advantage Since 1992. This is a unique home with an open floor plan in which the rooms can serve dual purposes. Quality features are found throughout the home: cathedral ceilings, recessed lighting, oak hardwood floors, berber carpets, ceramic tile, air conditioning, walk-in closets, large windows. There is a vacation home feel throughout this home, but it would be just as suitable as a primary residence. There are some views of Chautauqua Lake. Parcel to be divided, There is more land available.